New York City during the Holidays offers a lot of special memories for families to experience. There was Snow, ice skating, Christmas Spectacular shows, Time Square, Central Park, and so much more. 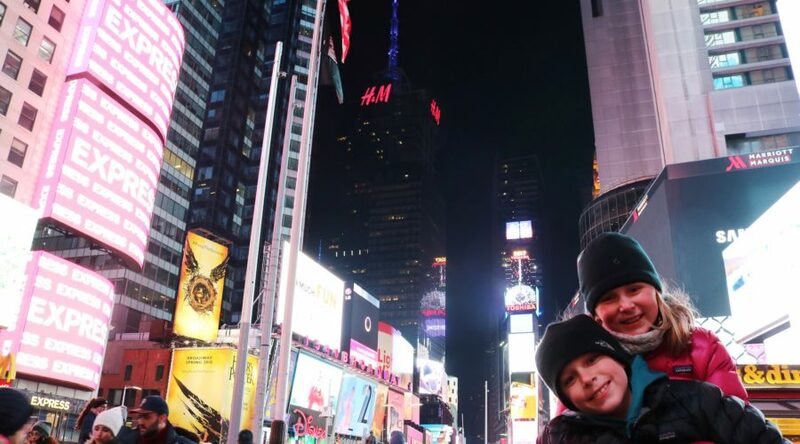 After our Holiday trip we sat down as a family and asked our kids what were the most memorable and fun experiences they had while in New York. The first thing they said was playing in the snow. We are from Texas so there is not a lot of snow, and it is something they will never forget. 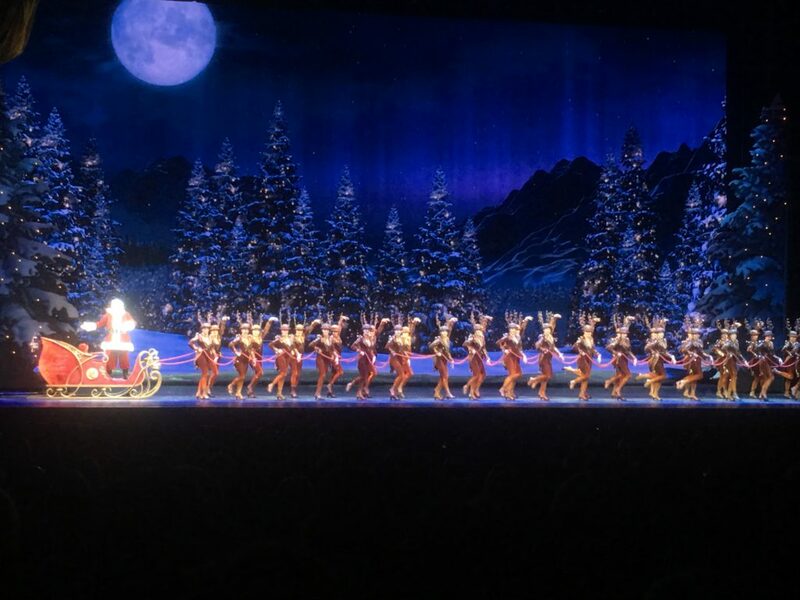 Not only do you get a chance to see Radio City Music Hall and the world famous Rockettes, you get all of this rolled into a wonderfully fun Christmas show suitable for kids of all ages as well as adults. There is an exciting 3D movie at the beginning of the show that captivates the whole audience. The movie takes you on a roller coaster ride with Santa as he flies through New York City before landing on stage and coming alive. The kids loved the Santa 3D introduction and the Rockettes toy soldier routine complete with an amazing human domino collapse. You will not be disappointed as the adventure takes you through two brothers’ adventure of finding the true Christmas spirit. The show is lively with beautiful sets, live animals, great acting, and of course the Rockettes put on an amazing performance. We cannot say enough about this magical show that everyone should experience sometime in their life. The show runs from November until New Years Day. 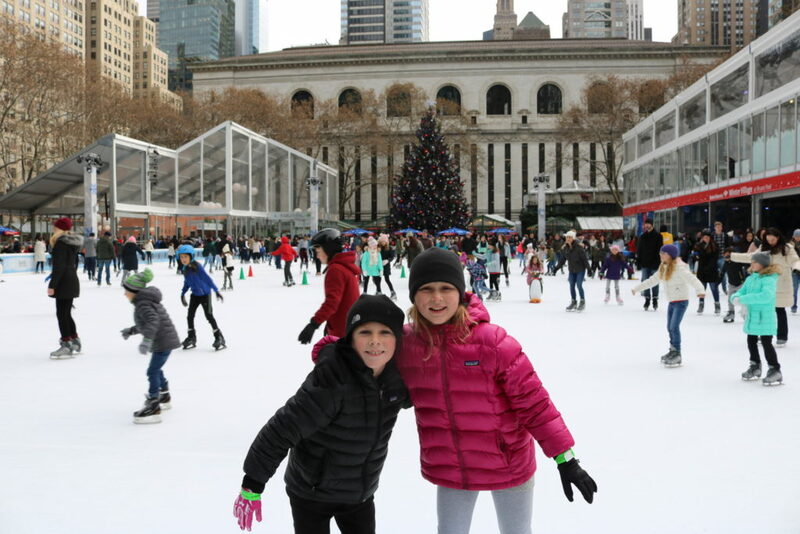 The kids voted the Bryant Park Rink as their favorite place to ice skate. There are plenty places to ice skate in the city, we tried the majority of them, but there was something special about Bryant Park. Our kids said they had the most comfortable ice skates, you also can choose between hockey or figure skates. We enjoyed the scenery of the Christmas Market that surrounds the rink with a variety of places to eat, get a coffee or a hot chocolate, and tons of shopping at the local merchant booths. Of course this is a must see for any visit to NYC, but we were lucky enough to experience it after a fresh snow. The kids loved exploring the park, throwing snowballs, and romping through the snow. Wollman Rink is in the park and you can skate there, but the kids didn’t like the skates or the overall vibe of this rink. Even if there isn’t snow on the ground, you will have great time exploring this park oasis that transports you out of the hustle and bustle of New York City. Unless your name is Scrooge, you will enjoy this cruise that combines Christmas Carols, cocoa, drinks, and a wonderful night time view of NYC landmarks. 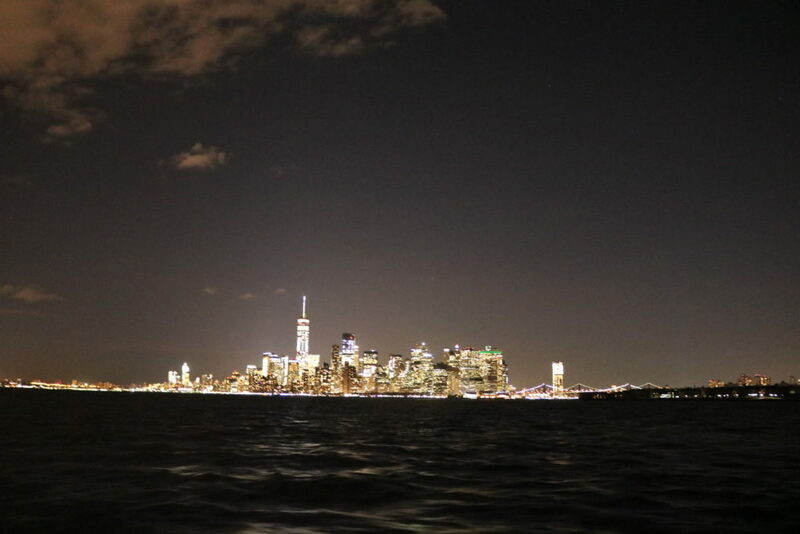 We did this great evening cruise that takes you along the Hudson and East Rivers. You get to sip cocoa or an adult beverage while singing along to Christmas Carols. You will get amazing night time views of the city skyline, an up close view of the Statue of Liberty, and be able to see the Brooklyn, Manhattan, and Williamsburg Bridges all lit up in the night sky. The kids gave it two thumbs up and it is even a great tour for a group of adults, it is truly special seeing all of these sights with the lights on. Time Square is another sight that is a must see for any visit to NYC, the kids were really blown away by all of the action. We went after dinner one night so we could see the lights in their full glory. 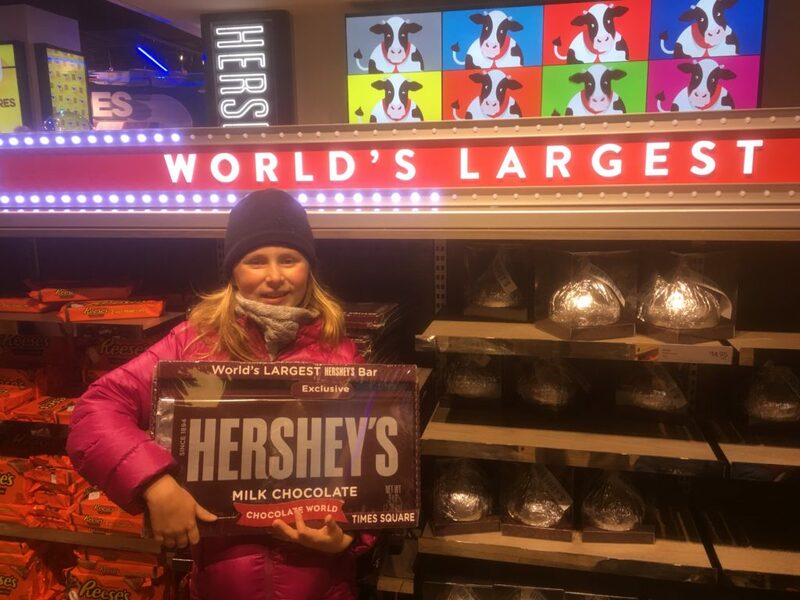 It did not disappoint, the kids really enjoyed watching the various street acts, visiting the Hershey Store, checking out the M&M Store, and just the overall spectacle of the square. As always, be ready for big crowds with craziness but you have to do it! Even if you and your family have been to NYC before, you have to make plans to go back and enjoy it during Christmas time. It really is magical and the kids will absolutely love it! Please reach out and we can help you plan a custom itinerary for your trip. ...join our email list today!! I love seeing the sites through your eyes! It makes me want to visit all the places you have gone. I’d love to see the kids reading in all the places so more kids will be excited to read there too! They both have finished books along the way and Vaughn has also knocked out 4 audio books. Dawson just started his first audio book. They are really enjoying home schooling and we can see the growing with leaps and bounds. You should definitely make some plans to travel whether near or far it is such a rewarding experience. Please let us know how we can help you!! Have a great Christmas!